Caught a rerun of "Raising Arizona" and had forgotten how good a movie it is. 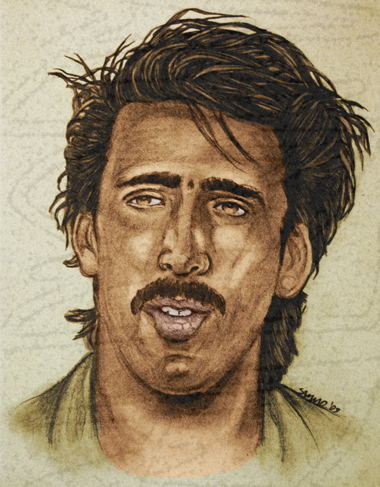 Plus, Nicolas Cage's hair always makes me laugh. So I thought why not do some fan art.